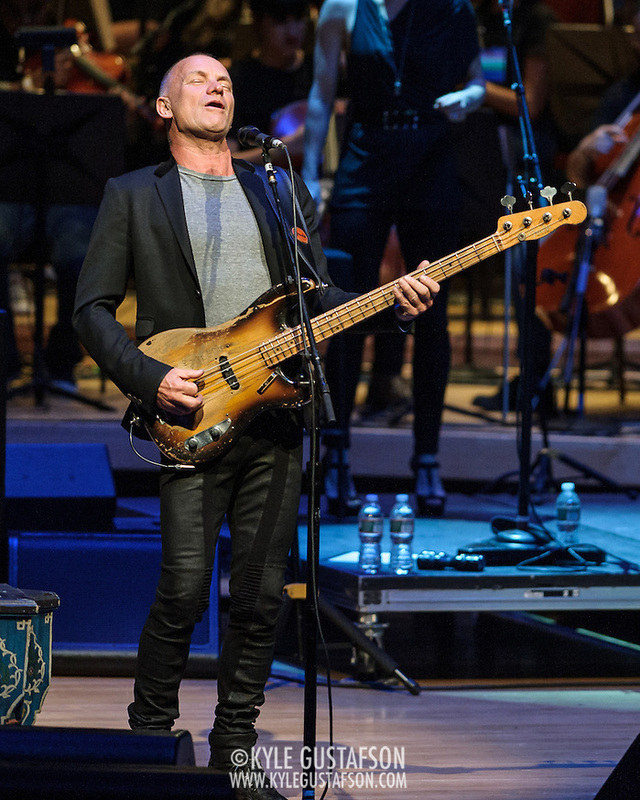 I’ve shot Sting four or five times at this point, but this promised to be something a bit different. 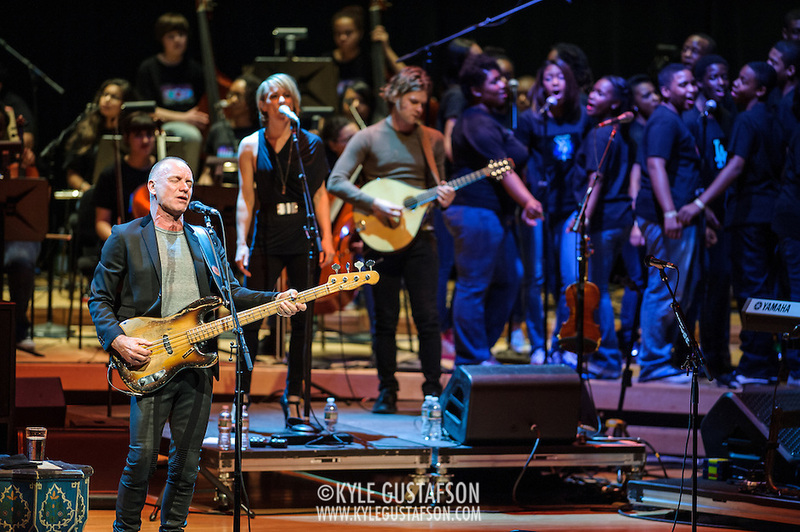 Sting and Paul Simon were doing a benefit for The Duke Ellington School of the Arts. They were scheduled to play the Verizon Center the next night, so attendees would get to see the show in a much more intimate venue. Plus special guest Stevie Wonder!! But then Stevie had to cancel due to death in the family (completely understandable) and then we found out that Paul Simon wouldn’t be performing until later in the set and we were only allowed to shoot Sting’s first two songs. 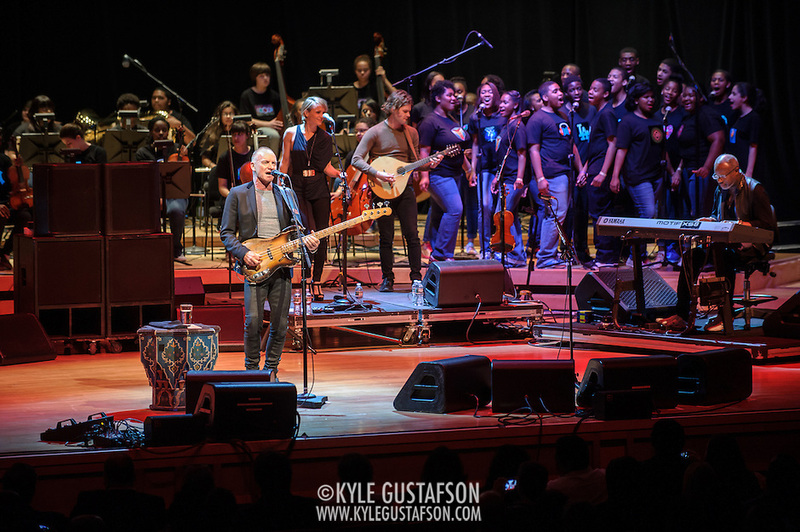 So this gig quickly became Sting at Strathmore, but hey, that’s not a bad night out by any means. 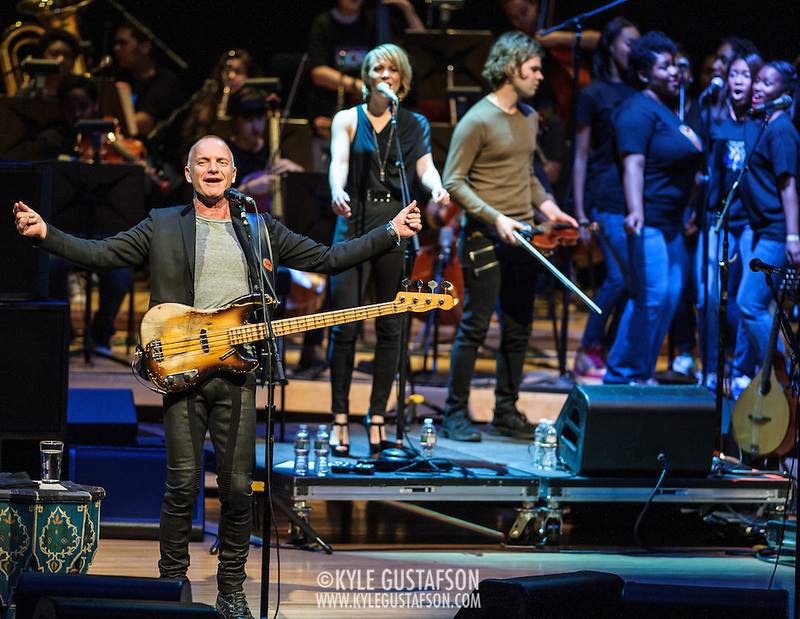 We were shooting from the back of the venue and I tried to frame Sting and the students he was performing with (they were his back up band for the first few songs) in as many frames as possible.